When considering a motion filed pursuant to § 1915(a), “[t]he only determination to be made by the court … is whether the statements in the affidavit satisfy the requirement of poverty.”3 Watson v. Ault, 525 F.2d 886, 891 (11th Cir.1976). An affidavit addressing the statutory language should be accepted by the court, absent a serious misrepresentation, and need not show that the litigant is “absolutely destitute” to qualify for indigent status under § 1915. Adkins v. E.I. DuPont de Nemours & Co., 335 U.S. 331, 338-40, 69 S.Ct. 85, 88-89, 93 L.Ed. 43 (1948). Such an affidavit will be held sufficient if it represents that the litigant, because of his poverty, is unable to pay for the court fees and costs, and to support and provide necessities for himself and his dependents.4 Id. at 339, 69 S.Ct. at 89. In other words, the statute is not to be construed such that potential litigants are forced to become public charges or abandon their claims because of the filing fee requirements. Id. at 339-40, 69 S.Ct. at 89. “[W]here the [IFP] affidavit is sufficient on its face to demonstrate economic eligibility, the court should first docket the case and then proceed to the question … of whether the asserted claim is frivolous.” Watson, 525 F.2d at 891. The district court must provide a sufficient explanation for its determination on IFP status to allow for meaningful appellate review. O’Neal v. United States, 411 F.2d 131, 138 (5th Cir.1969); Phipps v. King, 866 F.2d 824, 825 (6th Cir.1988); Besecker v. State of Ill., 14 F.3d 309, 310 (7th Cir.1994) (per curiam). Compare the preceding to Circuit Judge Charles R. Wilson’s opinion below. Apparently, the Eleventh Circuit is of the opinion do as I say not as I do. On June 20, 2001 when the lawsuit was dismissed, Judge Graham expressly found that the underlying lawsuit was not frivolous and had merit. “However, there remain, as this Court recommended, various viable claims for trial.” See Report and Recommendation, (D.E #766, pg. 5), and Order Adopting R&R, (D.E. 791). Marcellus M. Mason, Jr. of Sebring, Fl. filed an employment discrimination lawsuit against the Highlands County Board of County Commissioners and Heartland Library Cooperative and other governmental entities and individual government employees in February 1999. 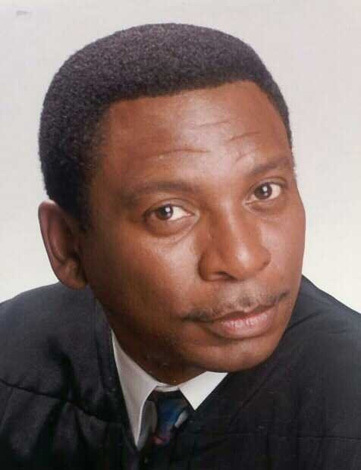 The case was originally assigned to then Chief Judge Edward Davis who retired. On February 20, 1999, Judge Davis allowed Mason to proceed in forma pauperis, “IFP”, or to proceed without paying the required filing fee for a lawsuit. Docket Entry No. 3. This case was ultimately assigned to Judge Donald L. Graham and Magistrate Frank Lynch Jr., Case No. 99-14027-CV-Graham/Lynch. Judge Graham refused to rule on the merits of the case. The Case was closed on June 20, 2001. Docket Entry No. 791. A Notice of Appeal was filed on June 25, 2001. (Docket Entry 795). District Case No. 99-14027-CV-Graham was assigned Eleventh Circuit Case No. 01-13664, “merits appeal”. On June 20, 2001, when Judge Graham dismissed this case, both the Plaintiff and the Defendants had summary judgment motions pending that the district court failed to act on. (DE # 507); (DE # 667); (DE# 668); (DE # 706);(DE # 797);(DE # 769);(DE # 770);(DE #785). See Complete Docket Listing. However, Judge Graham expressly found that the underlying lawsuit was not frivolous and had merit. “However, there remain, as this Court recommended, various viable claims for trial.” See Report and Recommendation, (D.E #766, pg. 5), and Order Adopting R&R, (D.E. 791). The Defendants submitted a motion for attorneys’ fees on July 23, 2001. On September 20, 2001, Judge Graham rendered a pre-filing injunction, sua sponte, which neither party had asked for. See Docket Entry 878, pg.2.. (“THIS CAUSE came before the Court sua sponte“). Mason has never been given notice and opportunity to respond to this sua sponte issued pre-filing inunction, either before or after it was issued. It is well settled that sua sponte issued pre-filing injunctions or pre-filing injunctions entered without notice and opportunity to respond are violative of due process, and hence void. See Case Law. The injunction also makes a so-called “finding of bad faith”. The U.S. Supreme Court has stated that a finding of bad faith requires due process. “A court must, of course, exercise caution in invoking its inherent power, and it must comply with the mandates of due process, both in determining that the requisite bad faith exists and in assessing fees.” (emphasis added) Chambers v. Nasco, Inc., 501 32, 50 (1991). Judge Graham and his Magistrate had previously ruled that such an injunction was improper. http://geocities.com/mcneilmason/secret/00-14240/de33.pdf. In the period between February 13, 2001 and September 20, 2001, Mason did not file any lawsuit in the S.D. FL. entered an order on September 20, 2001…pg. 2. Judge Graham’s order of September 20, 2001, also makes a specific finding of bad faith. Judge Graham stated, “It has become clear to the Court that Mason is proceeding in bad faith. pg. 3. [I]t does not appear as though the Plaintiff has any financial ability to pay any attorney’s fees which may be assessed against him in this case. pg. 7. Mason filed a notice of appeal promptly on February 7, 2002. See Docket Entry No. 896. Appellant’s Motion for leave to proceed on appeal in forma pauperis is DENIED because the appeal is frivolous. See Pace v. Evans, 709 F.2d 1428 (11th Cir. 1983). Appellant has filed a “Motion for Clarif[i]cation,” which is construed as a motion for reconsideration of this Court’s order dated August 23, 2002. Upon reconsideration, appellant’s motion for leave to proceed on appeal in forma pauperis is DENIED because the appeal is frivolous. See Pace v. Evans, 709 F.2d 1428 (1 IA Cir. 1983). Appellant’s “Motion for Judge Wilson to Recuse” is DENIED. See Order Denying Reconsideration. It is unclear on what basis the Court made the “frivolous” determination because the “merits appeal” was still pending and the decision was not rendered until October 16, 2002. Consequently, the Eleventh Circuit ruled it was frivolous to file an appeal of the $200,000 attorneys’ fees award before knew anything about the quality of the underlying claims since the “merits appeal was still pending. Judge Wilson’s unsupported mere conclusory opinion is contradictory of Judge Graham’s opinion. On June 20, 2001 when the lawsuit was dismissed, Judge Graham expressly found that the underlying lawsuit was not frivolous and had merit. “However, there remain, as this Court recommended, various viable claims for trial.” See Report and Recommendation, (D.E #766, pg. 5), and Order Adopting R&R, (D.E. 791). I need some quick advise. I filed a motion to reconsider a denial of an appeal from the Board of Immigration Appeal by overnight mail, on 11/03/2009. For some reason it was not received and filed by the Board until 11/05/2009. Since the VLD was 11/04/2009, the Board ruled the motion was filed out of time. (Matter of Liadov, 23 I&N Dec. 990 (BIA 2006 and Liadov v. Mukasey, 518 F.3d 1003 (8th Cir. 2008). The only thing I can do to protect the client is to file a Petition for Review by 2/10/2009 in the 11th Cir. Court of Appeals. I am admitted to the 9th Cir. and California. I am thinking of filing a Petition in pro se on behalf of the client, which they have agreed to. The clients do not expect to win. They are trying to buy time. Is this a bad idea.